Samsung Electronics today unveiled the Samsung GALAXY NotePro and TabPRO tablets, which set new standards of excellence in mobile and come equipped with innovative technologies. 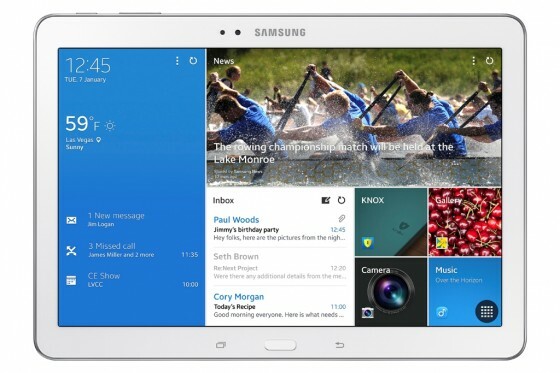 With four new powerful devices available – GALAXY NotePro (equipped with a screen diagonal of 12.2 inches), TabPRO (in versions with screen diagonal of 12.2, 10.1, and 8.4-inches), Samsung Galaxy Tablet family redefines the capabilities of tablets . -We created Samsung GALAXY TabPro and NotePRO series to start the year with them, where Samsung truly confirms its leading position in the tablet market – said JK Shin, CEO and President of IT & Mobile Division at Samsung Electronics, and added – a new tablet offers best ratio of battery consumption and productivity in class and combines incredible viewing experience and Samsung’s cutting-edge design. Samsung GALAXY NotePro and TabPRO demonstrate our commitment to provide customers the best products on the market, designed to meet individual requirements of tablet users. Samsung GALAXY NotePro and TabPRO first in the world made ​​12.2-inch WQXGA widescreen aspect ratio of 16:10, which provides crystal clear image resolution of 2560 x 1600 pixels, making it ideal for any type of content with optimized battery autonomy. The larger screen allows users to enjoy superb playback Full HD video and review further information simultaneously. Powerful hardware is hidden in an easily transferable thin, light and sleek casing. Magazine UX system, optimized for the big screen and allows users to further customize the experience using their GALAXY tablets and adapt it to their needs. UX allows them to organize their favorite content in a simple screen with automatic feed and quick and easy access to commonly used applications, for even more comfortable experience reading the content. Using a screen that is comparable in size to traditional journals, the content is easier to view in its original format when reading digital magazines or e-books. Samsung GALAXY NotePro and TabPRO (12.2-inch) come equipped with many tools to help users to easily manage their business and private lives. Multi Window option allows users to share their screen in four different windows, and innovative virtual keyboard provides them with enough space for smooth typing with quick feedback response. Samsung S Pen that comes with the GALAXY NotePro provides faster and more productive tablet experience, with access to features such as Action Memo, Scrapbook, Screen write, and the S Finder. In addition, Pen Window allows users to simply draw a window of any size on their screen and instantly access to preinstalled applications like YouTube or calculators. Users can easily access and control their home or office computer using GALAXY NotePro, or TabPRO tablet, with the help of Remote PC so that without any restrictions can edit and store documents from a remote location. For business users it is important to point out that the GALAXY NotePro, and TabPRO come with a built-in platform, Cisco WebEx Meetings, the leading solution for web conferencing that allows users an easy way to organize meetings with business partners at any time, wherever they are. 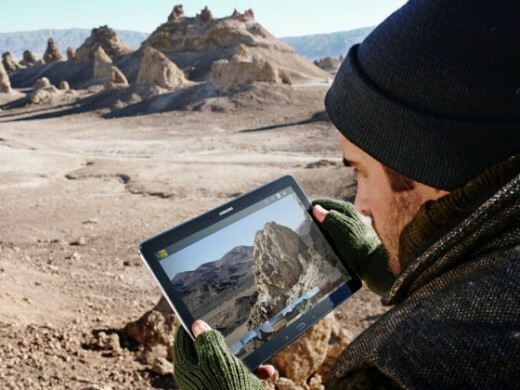 Samsung GALAXY NotePro, and TabPRO will be available in a variety of connectivity options: WiFi only, WiFi + 3G or Wi-Fi + LTE, and users will be able to choose between the 12.2-inch GALAXY NotePro tablet, with the S Pen, and 12.2-inch Samsung Galaxy TabPRO, GALAXY TabPRO 10.1-inch and 8.4-inch without S Pen. Samsung GALAXY NotePro and TabPRO tablet will be available globally in the first quarter of 2014. By now still unknown prices.